The current situation in South Africa is that it is illegal for a Vet to dock the tail of a dog, unless it is necessary for the health of the dog. There is no current law preventing the breeder from performing the procedure. Isn't it wonderful to have a strong opinion and to try to enforce it on others? Especially when you’re able to make your stance seem more ethical or noble than that of the other person. It makes us feel better somehow doesn't it? Maybe it's because in this world so full of cruelty and injustices, we feel we are making a change somehow or that we are showing that we want no part of it. Sometimes though, we may find that we start going overboard just a tad, judging everyone, who doesn't conform to our point of view, as evil. I think we all need a reality check from time to time. There are however definite reasons to feel upset over the cruelty we see happening to animals. We share this earth together with the animals and the right to enjoy our lives. The human conscience condemns those who encroach on the rights of other creatures in this regard. We have a strong sense of responsibility when it comes to animals, realizing that because we are able to reason about the concept of right and wrong, and that animals know neither; and are incapable of committing evil deeds as we humans are proven to do, time and time again. There are more factors to keep in mind too though. The fact that animals are not humans is one such factor. Some believe in equal rights for animals, and that they should be treated the same as us, shame! This must lead to a life of torment seeing animals serving the human’s need for food and other valuable resources. We couldn’t imagine eating other humans, could we?! The fact is that animals do not sit and contemplate their lot in life. They do not think about the future more than perhaps their next meal, or whatever other instincts are driving them at that particular moment. They do not contemplate the demise of their relatives in other parts of the world, and they recover quickly after finding a corpse of a relative. They do not contemplate their purpose in life, they know it automatically. They do not feel remorse for their actions, but react to the consequences of their actions. They do not need to live in a palace in Clifton; they are often equally happy, if not more so, in a warm grubby little hollow. In some ways we are alike. They do experience emotions even if they are not exactly the same as our own. They do show loyalty, they do show love, they even have emotions that humans are still struggling to understand. They do feel pain, they do feel hunger and thirst. They feel the heat and the cold. They yawn and stretch and we know how that feels. They love affection, and their owner’s approval. They love rules and knowing how far to push them. A happy dog is a dog that does doggy things, not human things. A dog loves to run, he loves to chew and to bark, he loves a good scratch. Dogs do not usually need clothes, but may learn to wear them because of the favourable reaction from their owner. Dogs do not usually need their food cooked, it can be bad for them, but they do not complain even when they become obese and unhealthy. Humans can be be cruel through their own kindness, and it is usually these very ones that start these animal rights campaigns. Among the hot topics has been whether to dock tails or not. Is it right to dock a dog’s tail? A dog's tail is an extension of the spine. It helps to keep them balanced when they run. A dog's tail position and motion is incorporated as a component of a complex system of body language that domestic dogs use to show excitement or agitation. Anything that robs an animal of quality of life is surely wrong? What about breeding of dogs that suffer with respiratory issues for example? Yet this is what many people promote by their desiring such dogs. We can’t say that these animals suffer their whole lives, they too have enjoyment in life and some sort of quality of life, being loved by their owners, but they may suffer shortness of breath and not be as fit as other dogs. Does this make the dog depressed, and mope around the house the rest of his life? No, he finds contentment in doing what he can do. 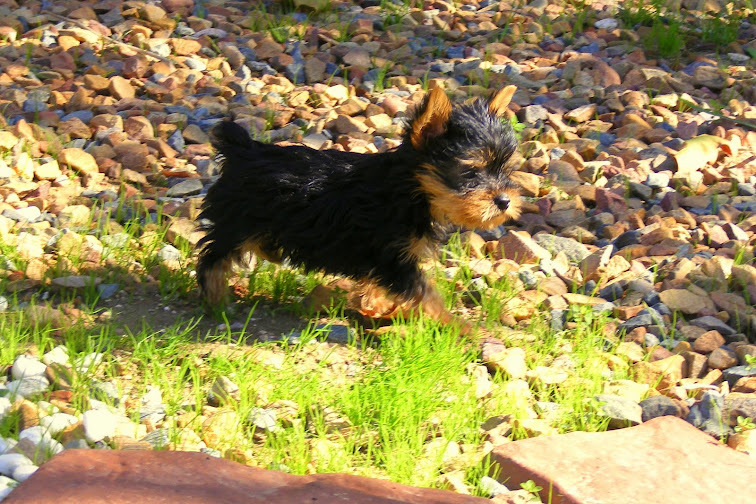 When it comes to docking a dog’s tail in the first week of birth, there is no emotional scarring either, he does not lie around wishing he had a longer tail to chase. Dogs with shorter tails may look neater and be more convenient to have around the house, rather than waving unhygienic hair around or knocking the coffee off the coffee table. It may make him more desirable for his owners and actually lead to a happier life for him too. Think too of the practice of circumcising a baby. The poor baby has no choice, but never have I heard that a child complains later in life about that. Wouldn’t it be uncomfortable, though if he was Scottish and had to wear a kilt of scratchy material? There have even been times when operations have had to be performed later in life on a dog with a damaged tail. I am not saying whether it is right or wrong to dock a tail, but that each one of us should be realistic as to imposing our opinions on others when much larger animal rights issues are at stake. What about the removal of dewclaws? If there is a chance that it may cause injury and pain for the dog later in life, shouldn’t they be removed? This appears more clear cut to me and if breeders are too ‘kind’ to do this for their little puppies they are actually acting cruelly. Perhaps they are squeamish about the blood. If that is the case they must get someone else to do it. Fortunately there is no law against the Vet removing the dew claws. This is my stance for dew claws on the hind legs of yorkies since I have seen the pain it can cause them later in life if they are not removed. We are responsible to take care of our animals and should think and consider their welfare. Act reasonably. Remember that the animals killed to feed your dog may have had traumatic lives. Battery chickens or pigs in concrete pens etc. These are animals without much quality of life. If we really care about animals we would spend our precious time rather to help them.